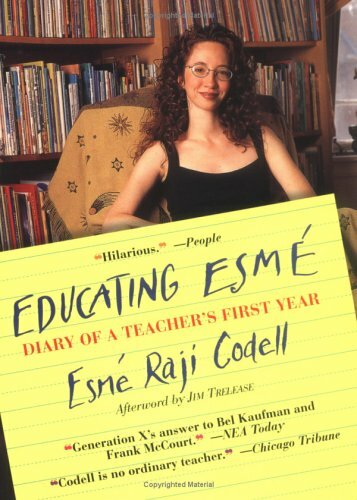 The diary of Esme's first year as a teacher is everything it should be: endearing, discouraging, enlightening, uplifting, and tiring! It just goes to show you what one good teacher with heart can do for children - even at the hand of poverty, violence, and an incompetent administrator. What makes this such an entertaining read is Esme's strong voice as a writer and teacher. She doesn't hold back. But even when she's angry, you can tell that her words are said with love and passion. I especially loved the following statement Esme said to a young, naive teacher who said she just wanted the students to like her: "It's not our job to be liked; it's our job to help them be smart." (87) I think of this statement every time I remember my junior high English teacher. I hated her when she was my teacher, but now that I think back to my entire schooling, she really impacted my life as a writer. So that attitude is the same for me. I don't care if they like me now. I hope that ten years from now they can look back and realize how instrumental I was in their education.